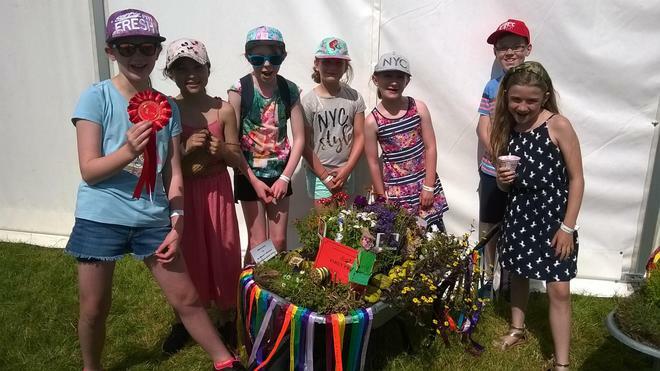 St Mary's won first prize for their wheelbarrow garden at the Berkeley show on Sunday. Thank you to Mrs T and Mrs Eastman and all of the children who worked so hard to get such a brilliant result. The judges particularly liked the inclusion of the pebbles with our school values and the comments on the ribbons by all of the children. Well done we look forward to next year's event.